As almost every person knows, one of the most important pieces of equipment in scuba diving is the tank. Without it, a diver cannot breathe under water. That is why a scuba tank should not only be made of high quality but also subject to periodic testing and inspection. Although scuba tanks have the same function, they come in various pressure ratings, colors, materials, sizes and shapes. While the majority of recreational divers only carry a single bottle, there are some twin tank models that often share a single regulator. They may even feed a separate regulator for more advanced diving. Tanks come in a number of sizes that typically hold between 150 and 50 cubic feet of compressed air. However, some bottles can hold as little as 20 cubic-feet. They also come in various sizes. Some are squat and short while others are thin and tall. 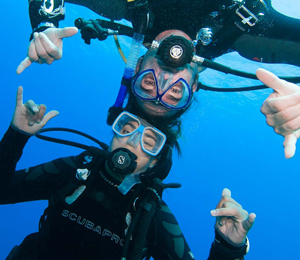 The majority of recreational divers do not have their own tanks. Instead, they rent them when they go diving. If a person chooses to purchase a tank, length is vital as it should fit their body size. Fortunately, tank fittings are standardized today. This enables every rental tank to be compatible with an individual’s other dive gear. 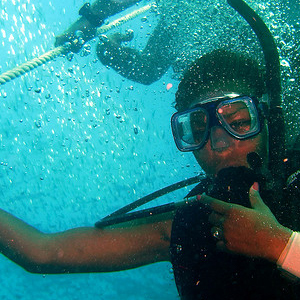 There are several important things that a scuba diver should know about their tank. This enables them to enjoy their dive without endangering themselves as the tank contains precious oxygen. One of the parts that they should be familiar with is the valve. The valve controls the flow of air. This is done by simply turning the handwheel closed or open. Another important part is the burst disk. This is a safety device that releases air from the cylinder if it accidentally obtains too much pressure. The tank boot allows cylinders that have rounded bottoms to stand during storage. It also helps protect the surface of the cylinder from damage. 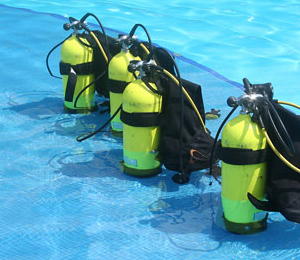 Scuba tanks are made from materials that include aluminum and steel. Steel is much harder than aluminum and therefore does not often get damaged or dent easily. It also has a much higher specific weight than aluminum. With this, divers who are using steel tanks need to carry less weight on their suits or belts. Aluminum is much softer than steel. Therefore, these tanks are more prone to abrasion and damage. It is also much lighter. Although aluminum is softer, an aluminum tank will be heavier and have thicker walls. However, they are more positively buoyant than steel tanks that have the same capacity due to their specific weight. Scuba tanks may either be rated either in imperial or metric units. Metric measures a scuba tank’s capacity in liters of fluid that fit inside. Because a liter of water also has the same weight as its capacity, a scuba tank’s capacity may often be given in kilograms. 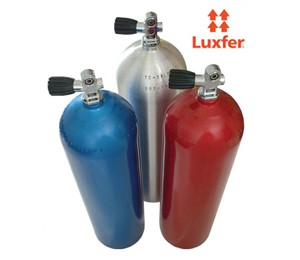 The imperial system rates a scuba tank by the number of cubic feet of compressed air that it can hold at sea level. This makes the imperial rating more relative as capacity in cubic feet depends on a tank’s rated pressure along with its temperature.